Kuya J, the fastest growing chain of Filipino casual dining restaurants in the country, offers Salo-Salo Special, a special deal on one of its best sellers, the Grilled Scallops, on March 22, 2019. Available in all 108 Kuya J stores nationwide, the one-day promo allows diners—old and new—to enjoy two servings of Kuya J’s famous Grilled Scallops for only Php245. 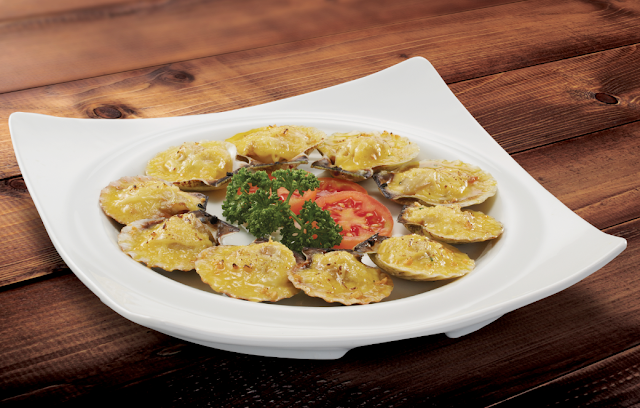 Irresistibly delicious, Kuya J’s Grilled Scallops is an all-time favorite dish. It is cooked to perfection—with lots of cheese, garlic and butter toppings. Kuya J also offers a variety of Filipino dishes and summer desserts with a twist including Crispy Pata, Roasted Chicken, Kare-kare, and Halo-halo Espesyal to name a few. Satisfy your seafood cravings and rush to the nearest Kuya J restaurant now to enjoy two servings of Grilled Scallops for only Php245! For more information, visit http://www.kuyaj.ph.